Man, I am jealous, the Ultra-Trail du Mont-Blanc is an epic 106 mile race and deemed to be one of the toughest in the world. It crosses through 3 countries, with over 31,800 feet of vertical gain. It is a bit technical, so they are nice enough to give you a 46 hour cutoff time. I definitely want to run this some day, but it would be a cheap trip. I need to win the lottery or move in with me rich cousin like Barefoot Ted did. Check this race out . 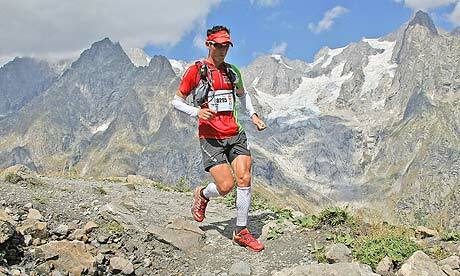 . . http://www.ultratrailmb.com/ How come the leaders are the only ones running?